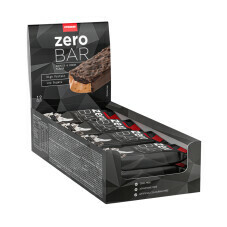 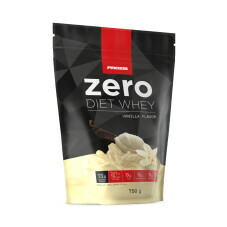 Buy Zero Diet Whey 1500 g and get 15% discount on the indicated price. 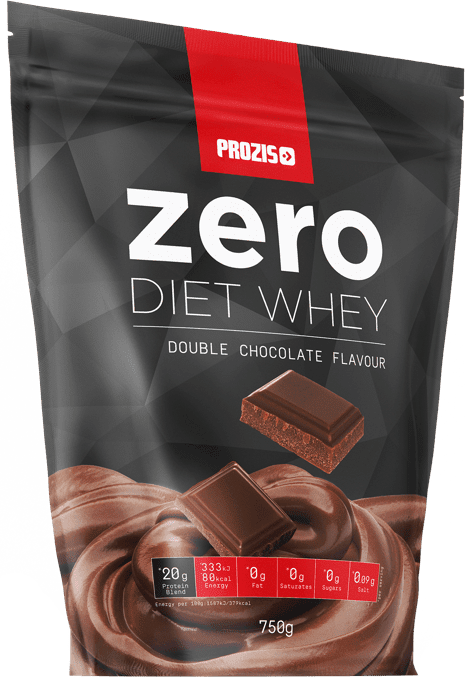 Whey protein supplements can be a valuable aid for people intent on losing weight, provided that they are used the right way. 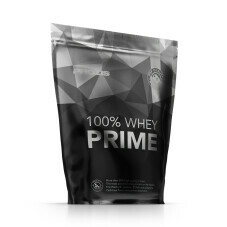 They deliver important nutrients, fill the stomach, and if done properly, they can even taste good! 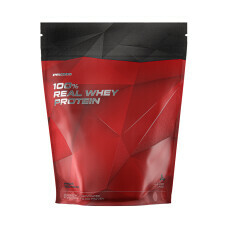 Because of its incredibly high protein content, this supplement has been dubbed a Diet Whey. 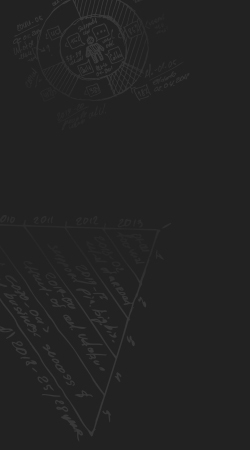 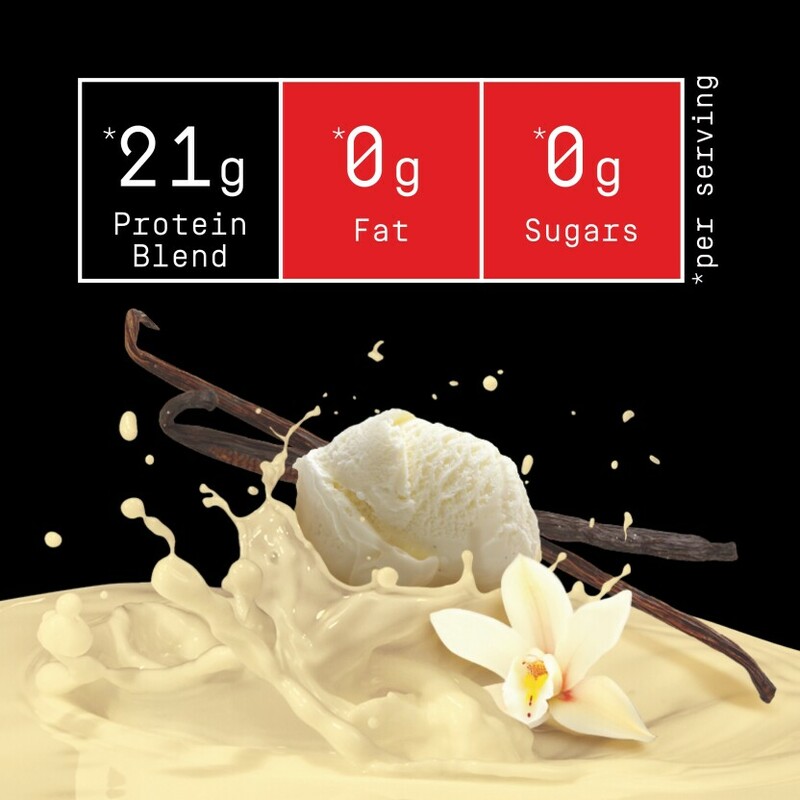 It makes sense: the higher the purity, the less fat and sugars remain. 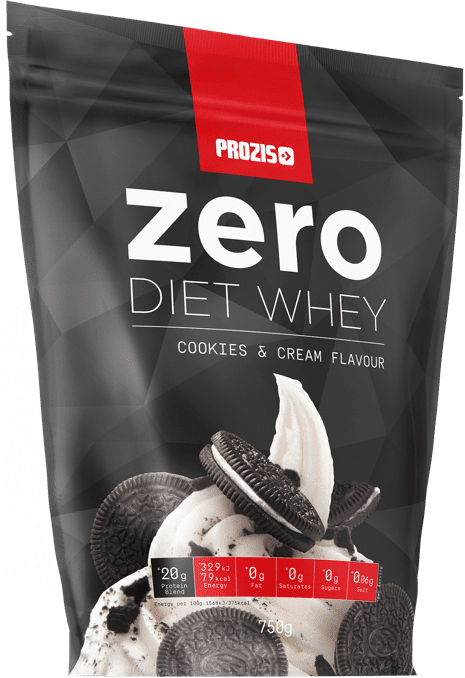 Zero Diet Whey is more than pure, though. 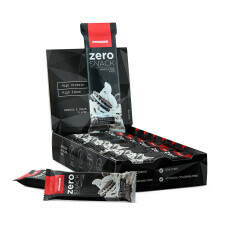 It's zero! 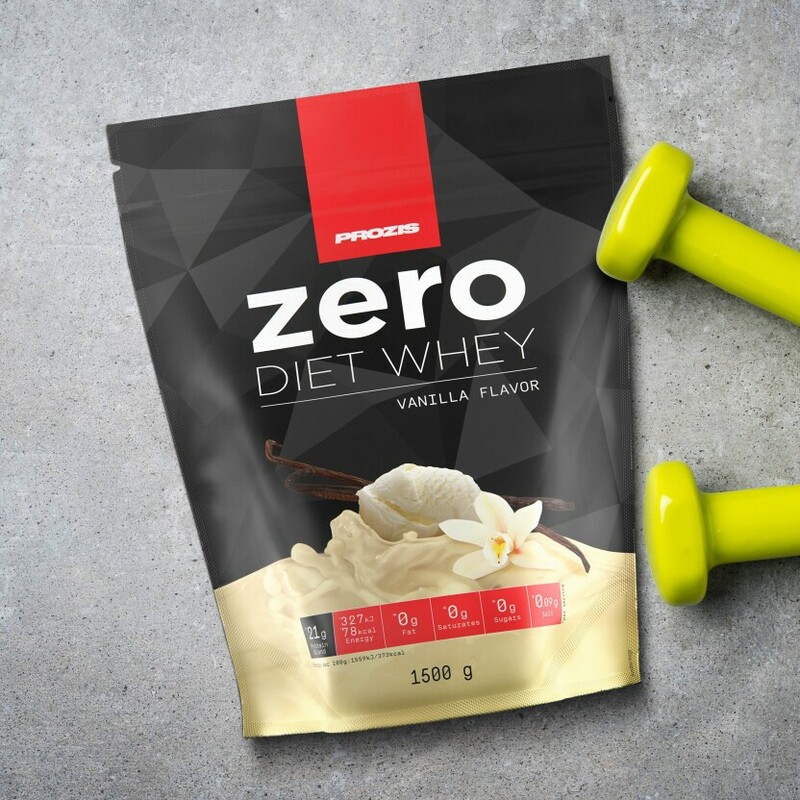 That's right, each serving of Zero Diet Whey has zero percent fat and sugars, so that nothing stands between you and your objective. 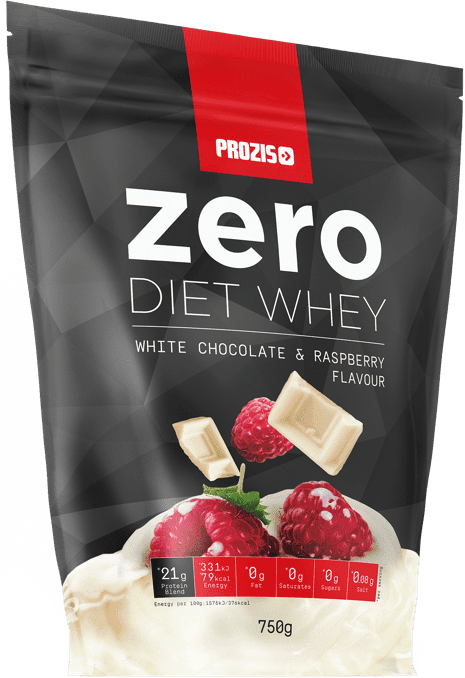 With a focus on quality, the protein blend in Prozis Zero Diet Whey contains whey protein isolate as well as hydrolysate. 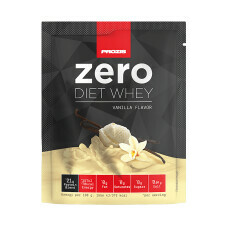 And as extra support for dieters, no fewer than 12 vitamins have been added, along with DigeZyme®, a proprietary complex of enzymes that help with the proper digestion of nutrients. 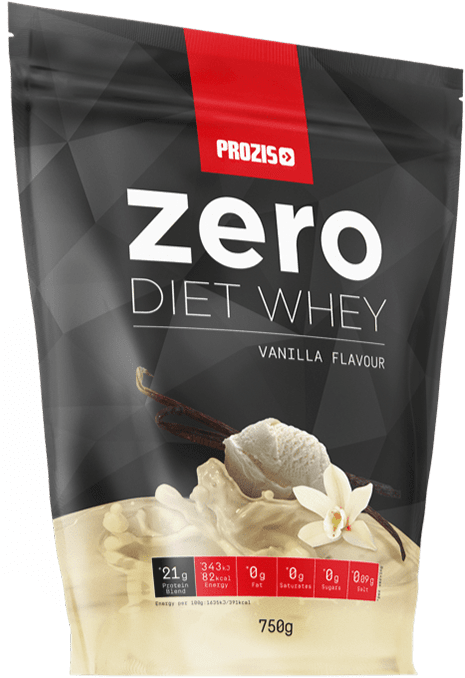 WHY GO FOR ZERO DIET WHEY? 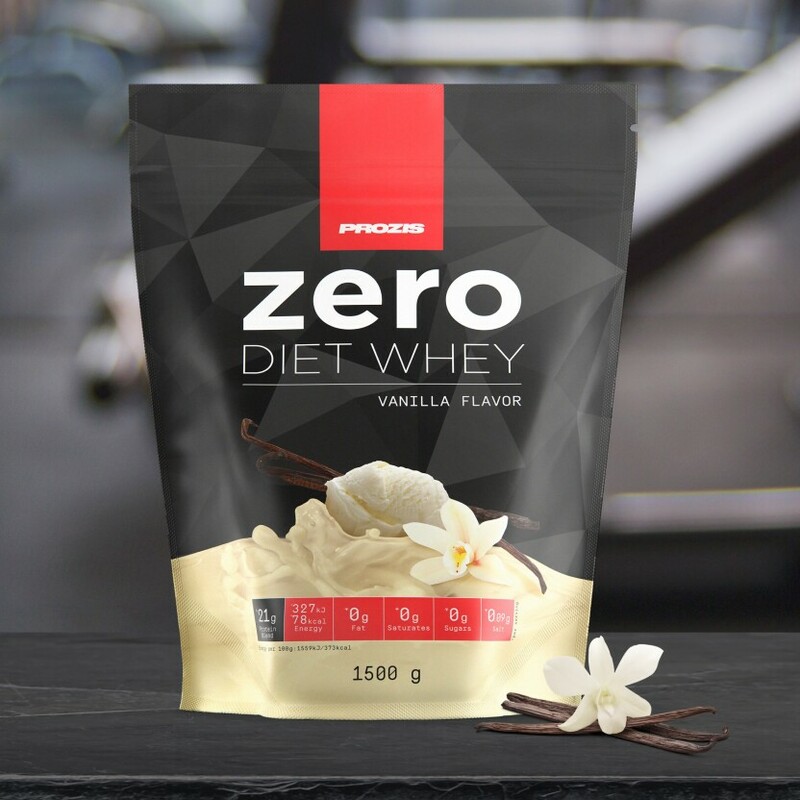 The ultra-pure Zero Diet Whey provides a higher amount of protein per serving with zero fat and sugars - ideal for calorie-restricted diets. 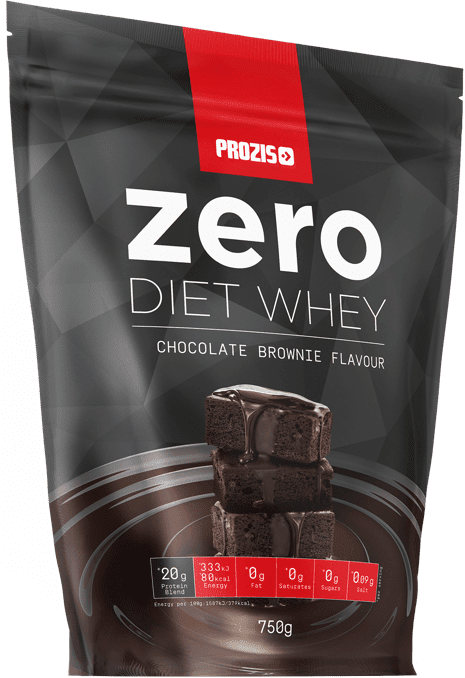 It's a well known fact that protein contributes to the growth and maintenance of muscle mass, helping dieters keep their muscle and athletes pack on some more. 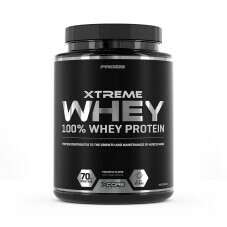 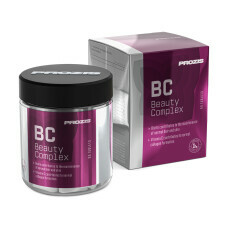 Protein Blend (Whey Protein Isolate, Whey Protein Hydrolysate, L-Glutamine, L-Glycine, L-Arginine) (98%), Flavouring, Vitamins (L-Ascorbic Acid, DL-Alpha-Tocopheryl Acetate, Nicotinamide, Retinyl Acetate, Calcium D-Pantothenate, Cholecalciferol, Pyridoxine Hydrochloride, Thiamin Hydrochloride, Riboflavin, Pteroylmonoglutamic Acid, D-Biotin, Cyanocobalamin), Thickeners (Guar Gum, Xanthan Gum), Sweetener (Sucralose), Salt, DigeZyme® Multi-Enzyme Complex (Alpha Amylase, Neutral Protease, Cellulase, Lactase, Lipase) . 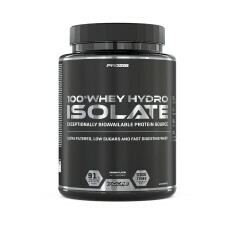 Recommended Daily Serving Take up to 3 servings per day. 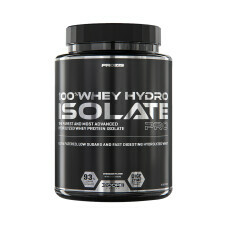 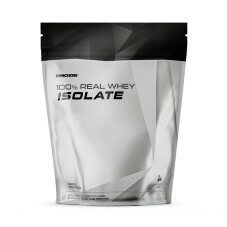 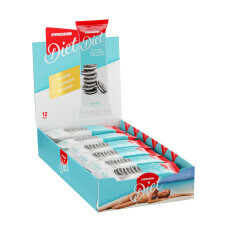 Instructions: To prepare 1 serving, add 1 1/2 scoops (21g) of powder to 200-250mL of water or any beverage you prefer. 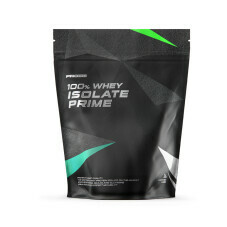 Shake well for about 5 seconds. 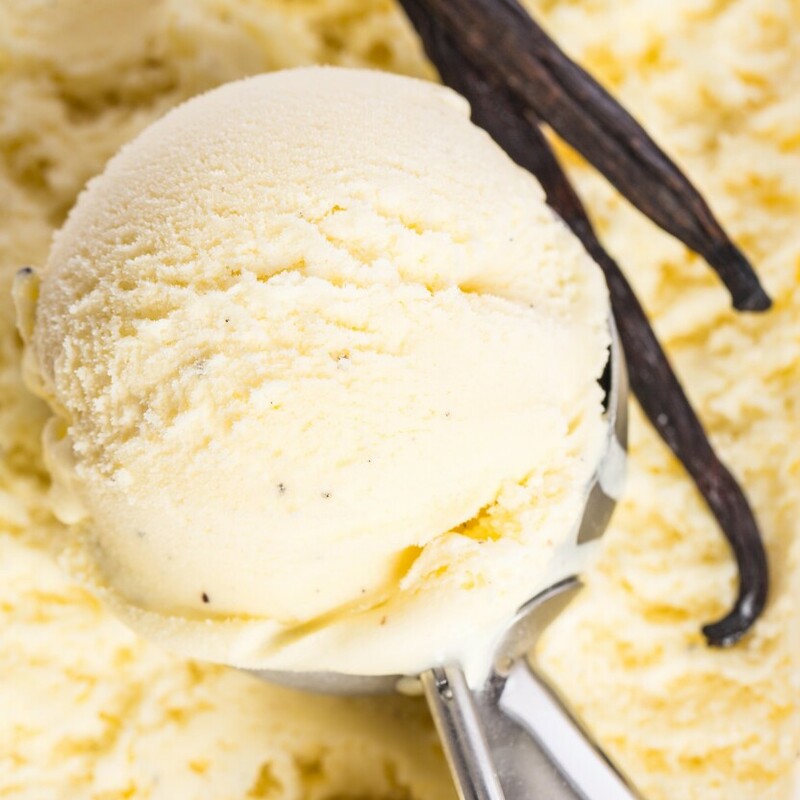 Scoop inside container. 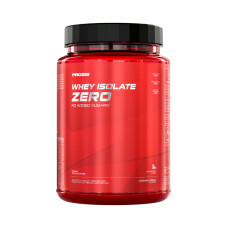 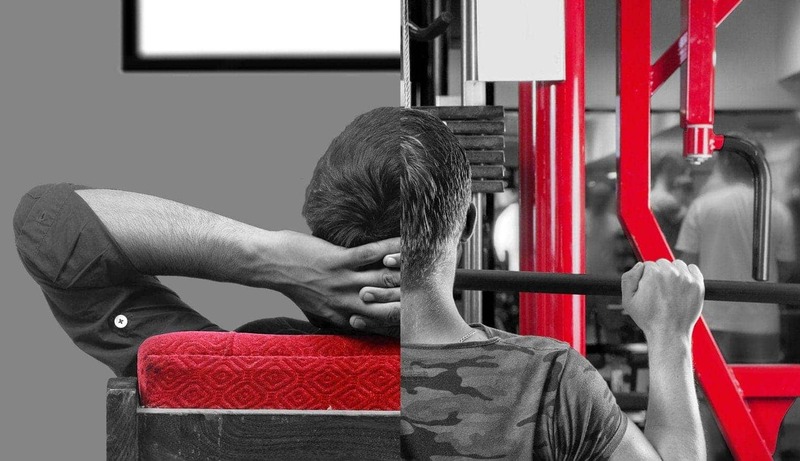 Want to support muscle growth and maintenance without any excess calories? 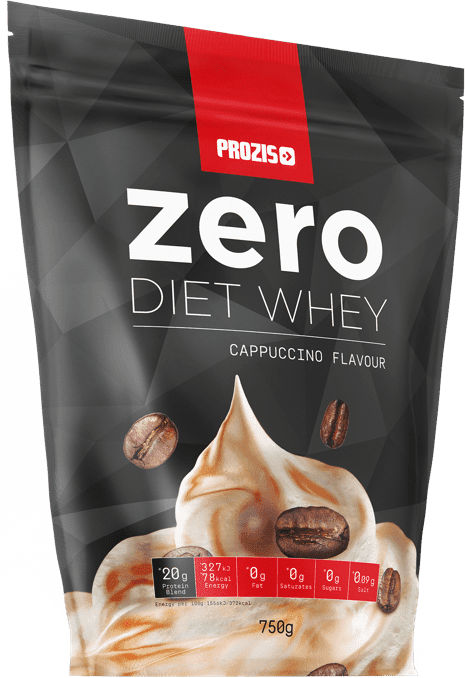 Prozis Zero Diet Whey is enriched with 12 vitamins and has Zero fat and sugars per serving, ideal for calorie-restricted diets! 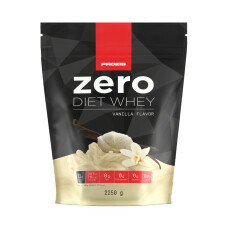 Stay on track with Prozis Zero Diet Whey!